New Delhi: Indoor air pollution caused 1.24 lakh premature deaths in 2015, more than the deaths caused by emissions from industrial sources, reads a report published in Lancet, a noted medical journal. The report also states that air quality in rural households in India is lethal due to usage of cow dung or wood. Now according to a new international study led by one of Indian-origin professors, the smoke emitting from the home-made traditional cookstoves (or chulhas), being widely used in rural India with biofuels like cow dung or crop chaff, has detrimental impact on people’s health and environment. The research, which was the culmination of field studies conducted in India, highlighted that these biomass-burning cookstoves have low combustion efficiencies and produce significant emissions of pollutants, including fine particulate matter (PM2.5). The degree of adverse health effects of cookstove smoke likely depends on the chemical composition of the PM2.5, however, which is largely unknown. The results, published in the journal Atmospheric Chemistry and Physics, are based on the series of tests conducted in a rural household on the outskirts of Raipur, a city located in the central Indian state of Chhattisgarh. Between 19 and 30 December 2015, 30 separate cooking tests were done in Raipur, where more than three-quarters of the families are located in rural areas and rely mostly on solid biomass fuels to prepare their meals. Scientists, including those from Pandit Ravishankar Shukla University in Raipur and the Indian Institute of Tropical Metrology in Pune, burned a wide variety of local biofuels acquired from different parts of India, cooked different meals in a number of varying ventilation situations. They recorded the resulting emission levels using high- tech particle measurement devices. Notably, the PM filter samples were collected at regular time intervals during each cooking cycle. 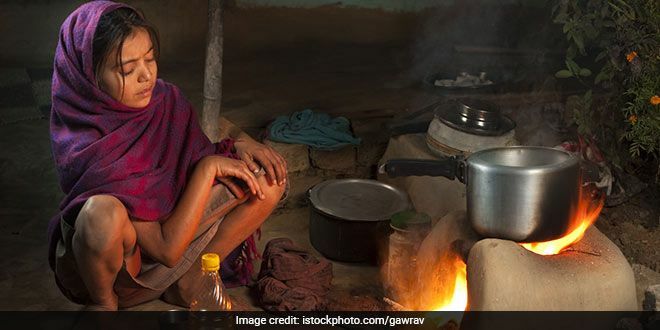 Our project findings quantitatively show that particulate emissions from cookstoves in India have been underestimated, said Rajan Chakrabarty, assistant professor at Washington University. The results were startling, the researchers said. In some cases, more than twice the emission levels were detected when compared to the previous lab findings. Traditional cookstove burning is one of the largest source of pollutants in India. We found it’s a really big problem; this is revising what people knew for decades, Mr Chakrabarty added. While further investigation is needed to evaluate the exact effect of cookstove emissions on the climate and health, the researchers say their work lays the foundation for further improving the process by which those effects are evaluated and measured. We went in with some real advanced instruments to map out detailed information on the emissions, said Pratim Biswas, professor at Washington University. “We also used low cost sensors that we developed. A large number of these could be simultaneously deployed to provide information on the spread of the plume. It’s not about taking a single reading. This then allows us to eventually determine the regions of hot spots and what locations would have high concentrations. This detailed characterisation of the situation is very critical, and that can only happen in the field. We can’t be doing it here in the lab,” Mr Biswas further added.